Sometimes, it feels like there's a trend to travel for the sake of traveling, to visit a place merely because it's far away and exotic. Japan, though? Japan is travel for the sake of the pursuit of the best. It’s a place that rewards the earnest explorer, challenging beyond simply just cycling. RAID’s journey through the Japanese Alps is our distillation of a decade spent experiencing, designing, and executing trips in one of the world’s greatest places to ride a bike - and visit. 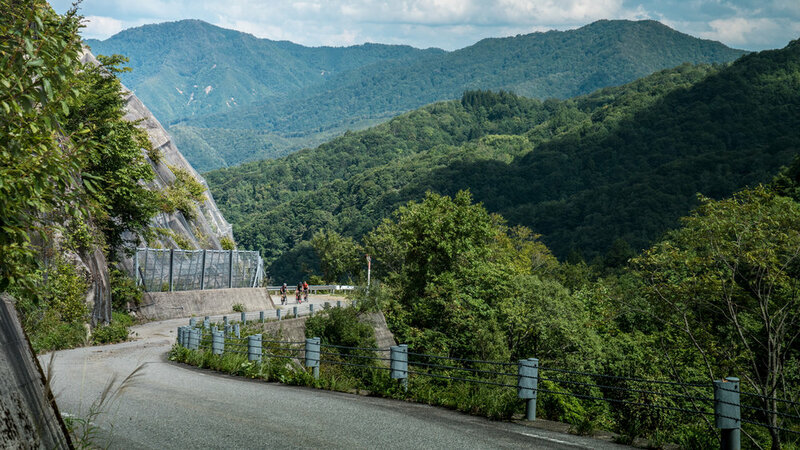 Starting in Tokyo, we’ll head south on challenging roads dotted with climbs through dense forests on perfect pavement, barely wide enough for a car. Deserted roads every bit an equal of Europe’s, and a mountainous buffet of perfection through dense forests, peppered with broad views. During the day, the rider will be treated to the best that Japan has to offer. That theme will continue in the evenings, with the chance to explore all things uniquely and wonderfully Japanese: Hot springs, food, lodging and people. 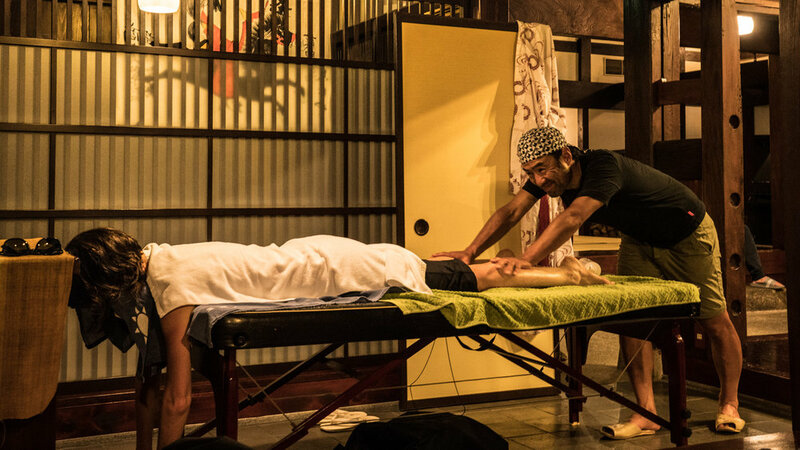 We finish after an unforgettable parcours in the stylish city of Kyoto, Japan's former capital, and by all accounts Japan's city of cities, renowned for its temples, shrines, and vibrant geisha culture. Our first day on the bike takes us into the heart of Higashi-Ōme, a mountainous region laced with deep gorges, raging rivers and mountain lakes. It’s the perfect intro into the style of riding we will encounter the rest of the week. Enjoy a hot bowl of soba for lunch at a mountain top cafe before descending into the lush Kofu Valley. The imposing Mt. Norikura reigns supreme today, but not before a trip down a historic road, once part of feudal Edo Japan’s network of highways. After a series of short climbs, we’ll arrive at the base of monstrous Norikura. The mountain is more than 38km long with a 5.3% average gradient. Topping out at 2,715m, it is the highest road in Japan, with only cyclists and the occasional tour bus allowed up it. We will spend the first 20km on the lower slope of the mountain before we arrive at the evening’s ski chalet. We make our final push over car-free Mt. Norkura, taking in breathtaking views above the tree line paired with a 30-mile descent off its slopes. After lunch, one more substantial climb before we arriving at our finish, the historic World Heritage site of Shirakawa-go along a valley famous for its 250 year-old gassho-zukuri farmhouses. Before we end our day at a traditional ryokan inn, we’ll chow down on some black sesame ice cream, a local specialty. Our route today is a special one. This ride has it all: Punchy climbs, fast twisty descents, waterfalls, rice fields, temples and finishing off with a tiny mountain path too small for vehicles. Keep an eye open for bear this afternoon before we arrive in the hot spring town of Kaga. In addition to the ride today, we have afternoon activities planned. Enjoy a soak in the famous onsen before joining us for a whisky or manhattan at a piano bar next door. After dinner, we’ll end the night at a traditional Karaoke bar, owned by a retired Bon Odori dancer. As we depart this morning, the staff from the Hatori lodge come out to send us off, wishing us a safe journey. As we roll south, our first stop on arrival at the Sea of Japan is the Yushima Bridge. We’ll cycle over to the island and visit the Shinto shrine. From here, we spend the next 60 miles along the coast of the Sea of Japan, where we might jump in for a quick swim. Tonight we check into Hotel Suigekka, an isolated spa inn overlooking Lake Suigetsuko. The hotel is especially known for its sumptuous kaiseki dishes with lavish amounts of crab and other seasonal seafood. Inside the hotel is a number of hot baths and saunas overlooking the lake and the mountains. Our last day’s journey has us cycling deep into the mountains north of Kyoto on more tiny roads in dense forests. The final lunch of the trip comes on the heels of a long descent at a traditional soba house at a remote mountainous location known for its sweetfish fishing. 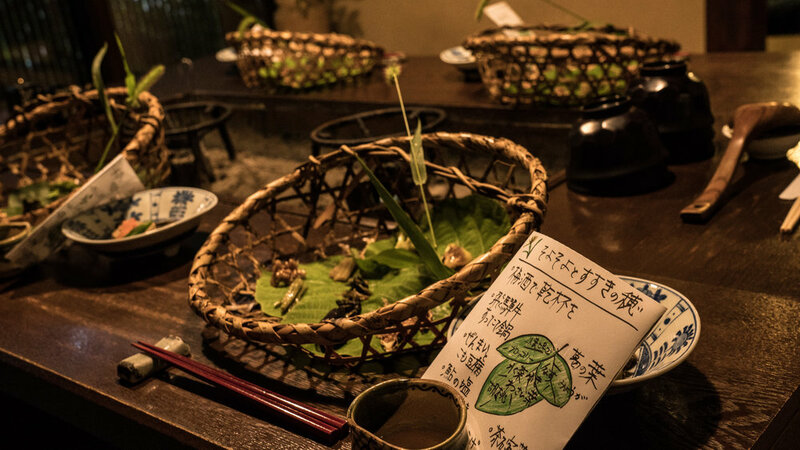 Centuries-old farmhouses lend a nostalgic atmosphere to the area, and gives us a chance to experience the traditional, authentic feel of rural Japan. A few more stunning climbs with views across the Yamashiro Basin brings us to Kyoto. In the afternoon, spend a moment exploring Kyoto's centuries-old geisha district, with its temples, shrines, stunning gardens, and bamboo groves. Our celebratory dinner tonight is at beloved Manzara, where you will dine on "Obanzai (Kyoto-style home cooking).